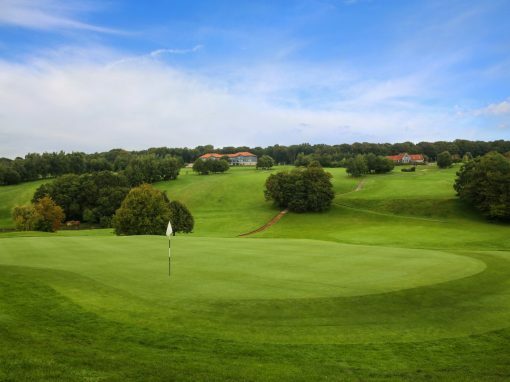 Overlooking the magnificent Aa valley, Saint-Omer golf club offers you a technical, selective course where beginners and experienced players will find a challenge. 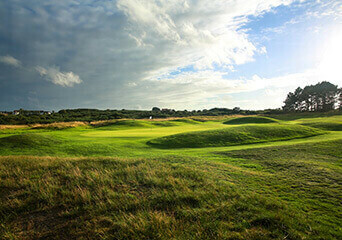 The undulating, wooded site is attractive to golfers. 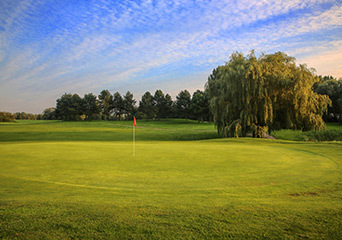 The design of the 18-hole course allows golfers to link simple and complex shots and thus find great pleasure in their game. 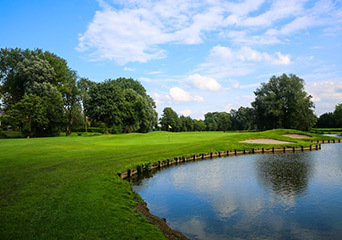 This course has been selected by the European Tour and each year it hosts the Aa Saint-Omer OPEN in June. 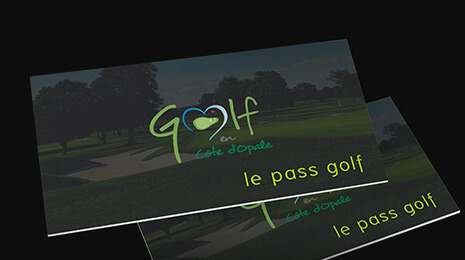 The Aa Saint-Omer golf club also has a panoramic restaurant open to all, Le Ristandèl. 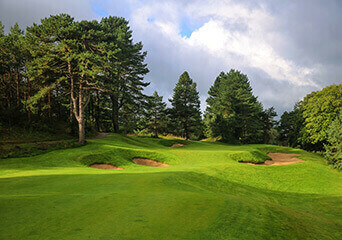 Les Aubépines course: a nine-hole course, par 31, 1,710 metres, ideal for beginners and those wishing to improve their short game. « If you’re keen to take up the challenge of the course that hosts France’s second biggest tournament, there’s nothing to stop you! 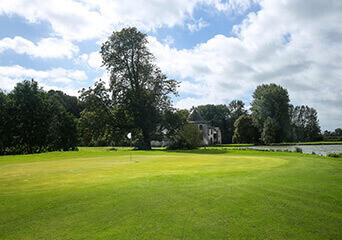 A stunning site with magnificent panoramic views of the Aa Valley that will delight any golf lover. 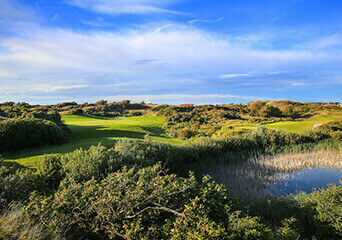 The words that sum us up are: quality, friendliness, wellbeing and relaxation. My team and I will be delighted to welcome you to the complex, which is completed with a 3-star hotel with 54 rooms.